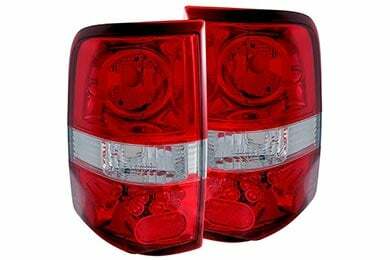 Anzo 211116 - Anzo USA Euro Tail Lights - FREE SHIPPING! Installation was a little harder than usual and these weren't my first set of taillights. Housing for the taillights was a three notch design. But my electrical connection for lights was a four notch design. Had to hack a notch off on the electrical light end than they popped in and locked. Than I had a issue with the mounting brackets not matching up with the holes to screw in. So I had to bend them into place. For the price I payed I thought it would go a little better. Reference # 760-868-314 © 2000-2019 AutoAnything, Inc.